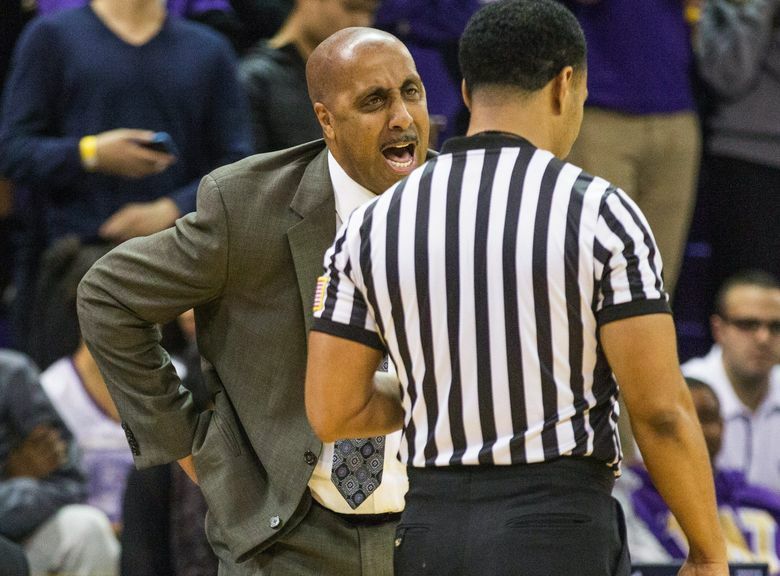 Huskies’ coach Lorenzo Romar is happy with his team’s 2-0 start, but his optimism is tempered by past experience. 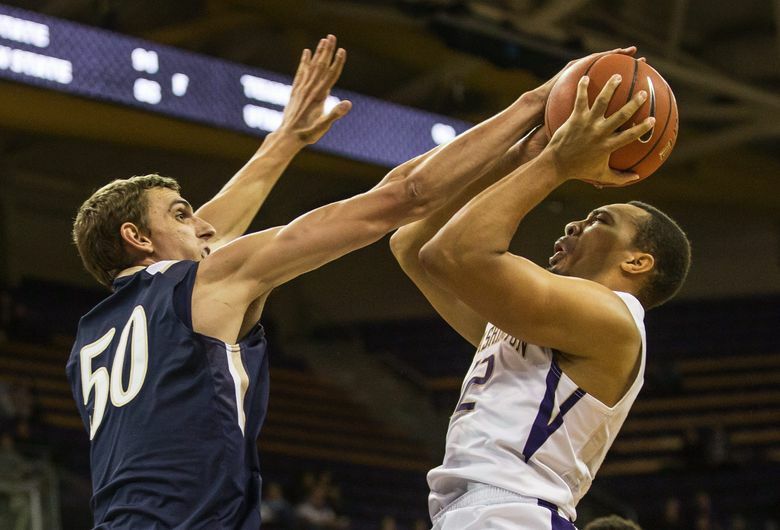 No matter how much success the Huskies enjoy the next two months, last season’s turbulent roller coaster taught Lorenzo Romar to temper his excitement. 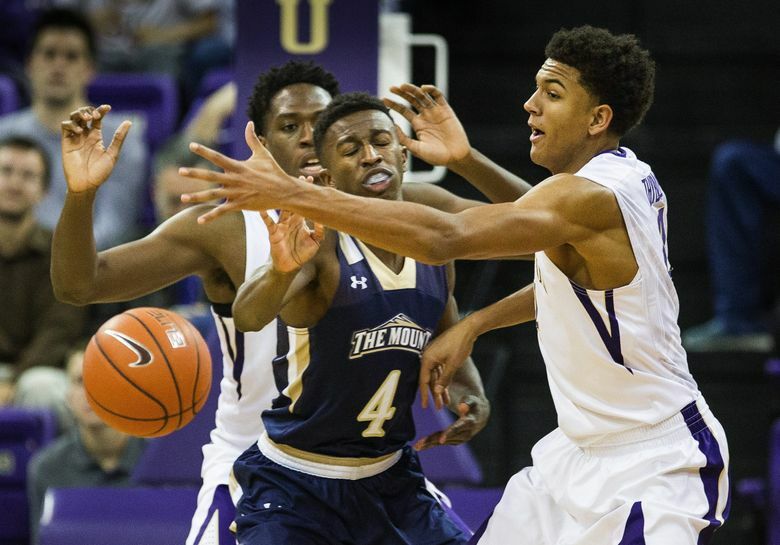 It’s not as if the Washington men’s basketball coach isn’t thrilled with its 2-0 start following Thursday’s 100-67 home-opening rout over Mount St. Mary’s. 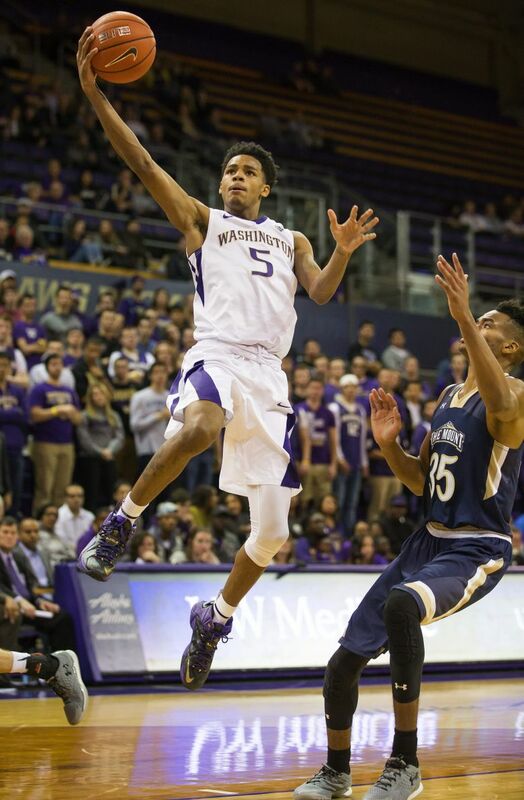 However, the Huskies raced out to an 11-0 start last season before things quickly turned dour and they lost 15 of the next 20 games and bottomed out to a 16-15 finish. 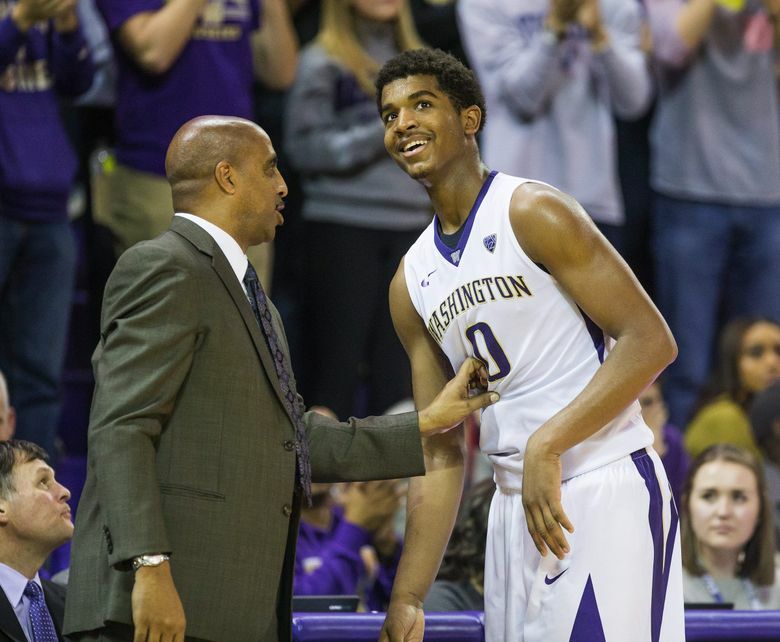 So Romar is cautiously optimistic about this young UW team that at times has looked dynamic and dominating early in the season. “We’re hopeful,” he said before facing the Mountaineers. “Again, we’ve only played (two) games and it is such a long season. 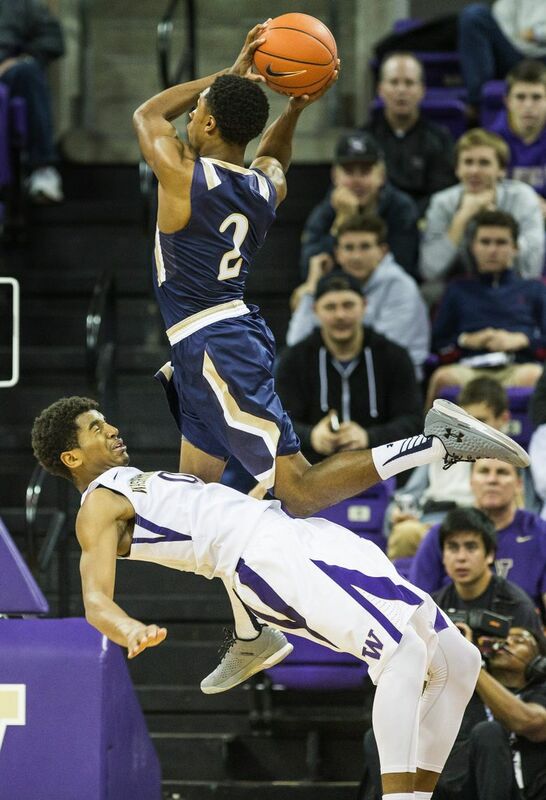 Maybe so, but there’s no denying the ‘wow’ factor has turned up a notch with this group of Huskies. 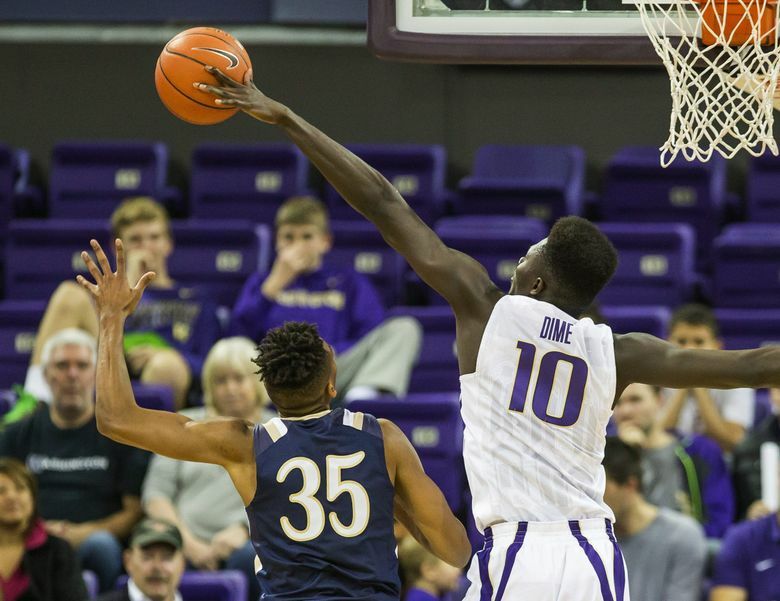 Plays that used to result in layups are now being converted for highlight-worthy dunks, which thrilled the 5,381 at Alaska Airlines Arena on Thursday. 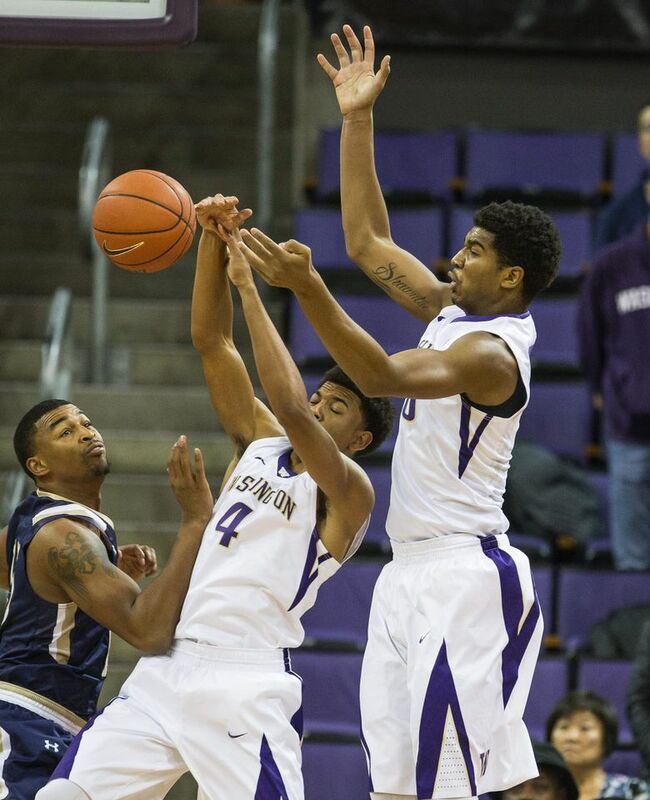 Freshman Marquese Chriss, a 6-foot-9 forward, got the party started with a nifty spin in traffic that freed him for a one-handed jam with 5:44 left in the first half. Minutes later, backup point guard David Crisp and Chriss connected on a fast break. Crisp threw a long pass to Chriss who maneuvered around two defenders before dunking on them. 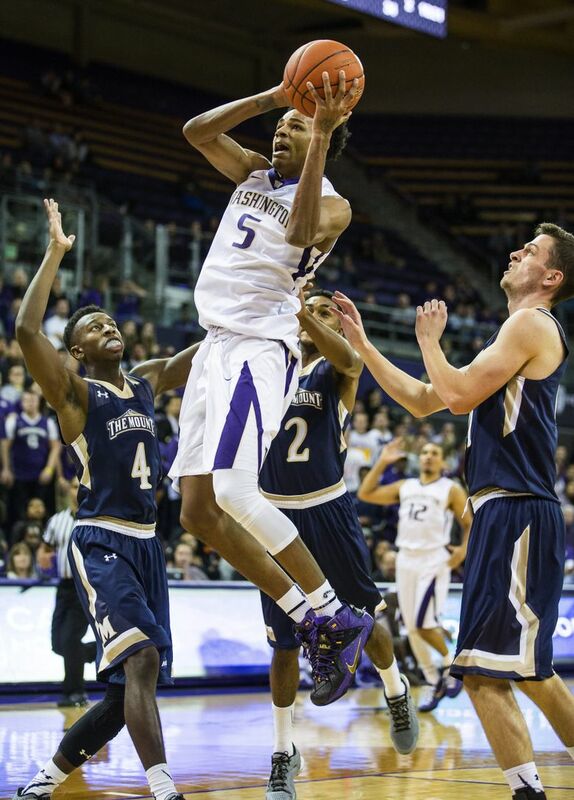 “I (knew) he was going to take the rim down,” Crisp said. 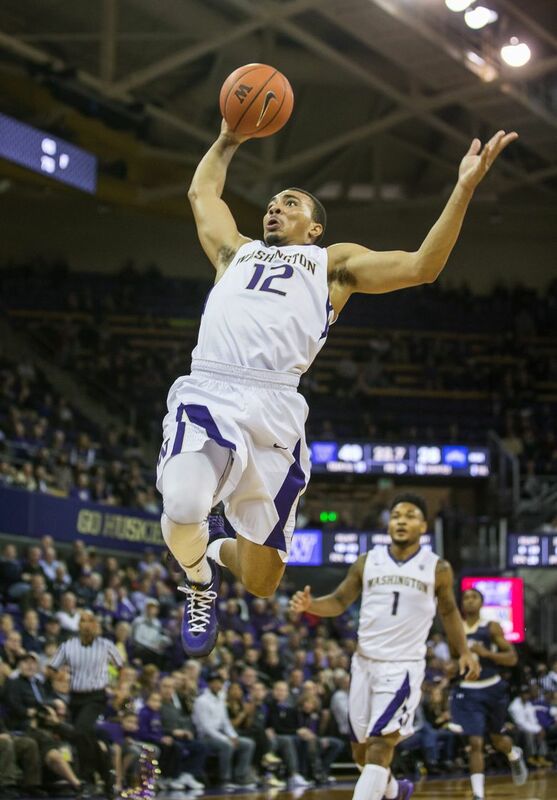 Then UW senior guard Andrew Andrews (20 points) joined the slamfest and threw down a tomahawk jam to cap the first-half scoring for Washington, which led 51-28 at halftime. 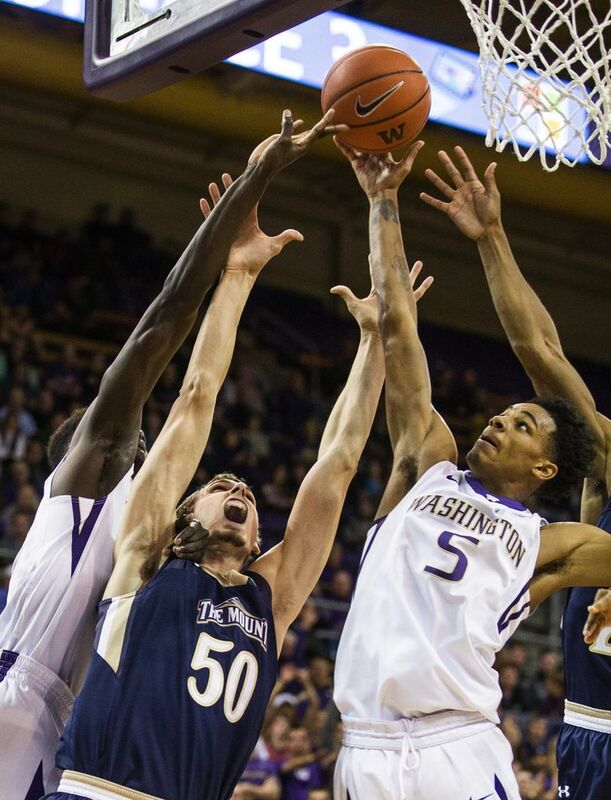 It was nearly a flawless first-half performance for the Huskies, who held the Mountaineers scoreless for the first four minutes and 31 seconds while building a 17-0 lead. 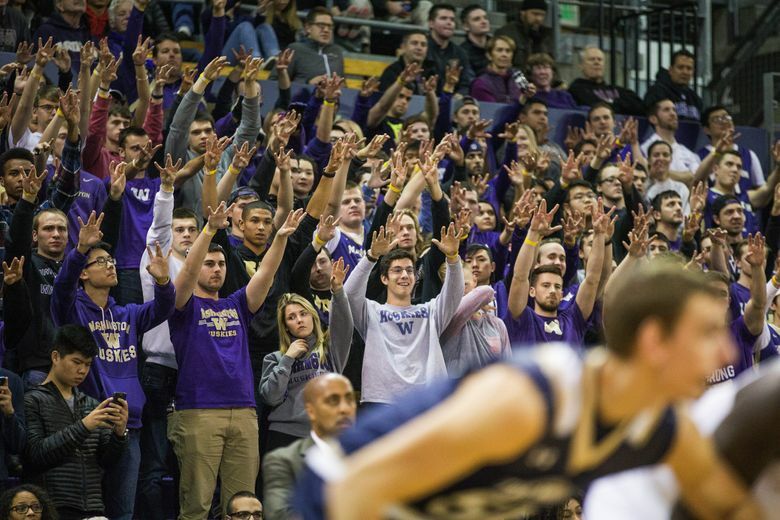 Mount St. Mary’s missed its first seven shots before getting on the board and UW fans — who stand at the start until the opponent makes a point — must have gotten leg weary. 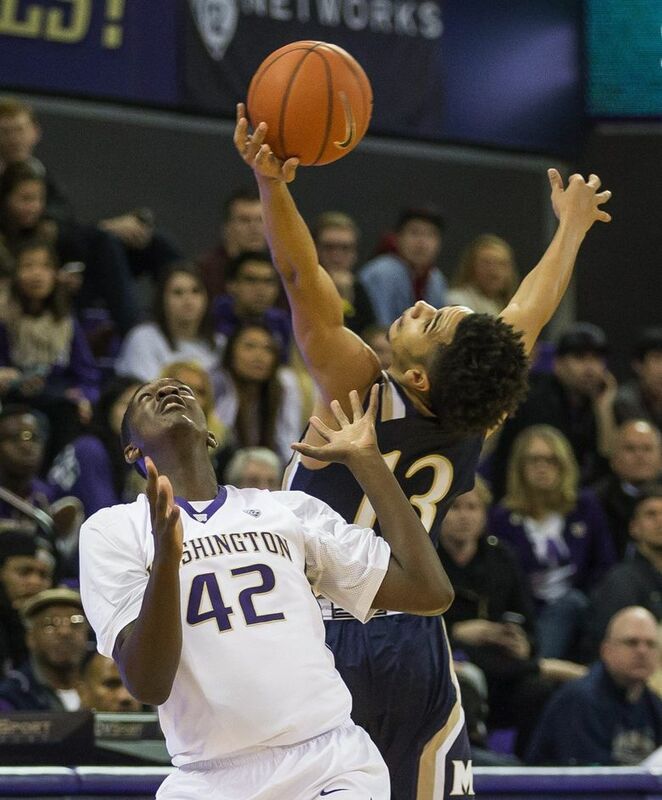 Aside from the occasional difficulty with Mount St. Mary’s “Mayhem” pressure defense that forced 19 turnovers, Washington wasn’t seriously challenged in the second half as the Mountaineers never got closer than 19 points. 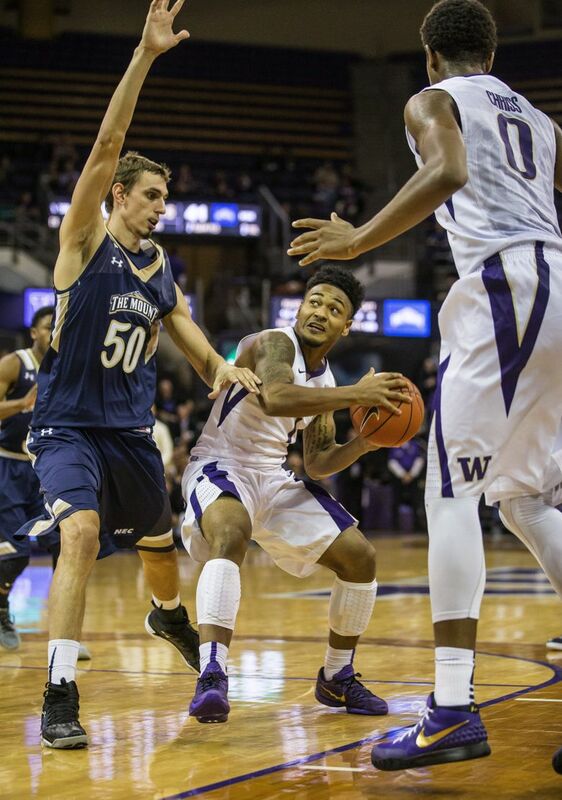 The Huskies exploited their size advantage and dominated the glass for a 60-29 rebounding advantage. 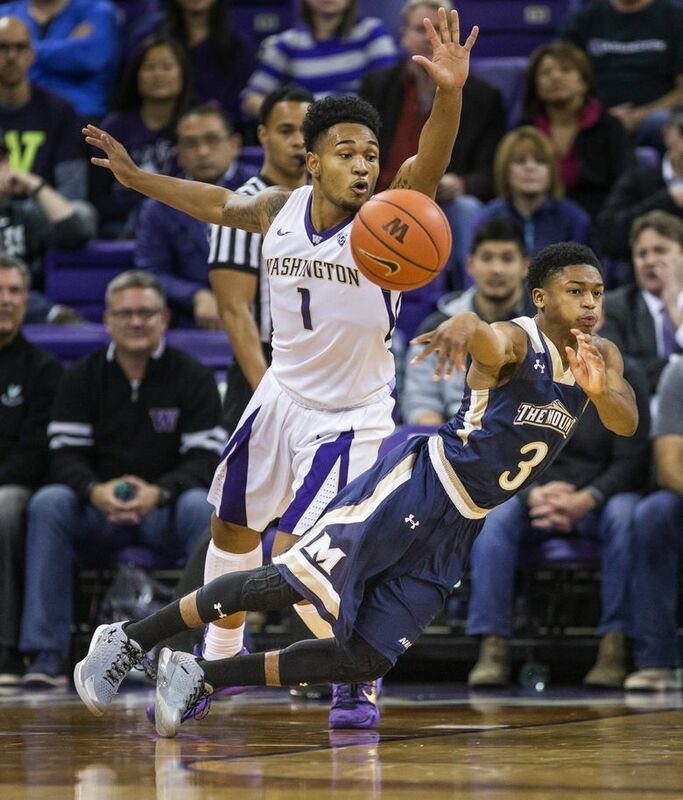 Washington attempted 40 free throws and shot 50.7 percent from the field while scoring 50 points in the paint. At the other end, the Huskies pushed the Mountaineers outside and forced them to rely on an inconsistent perimeter attack. 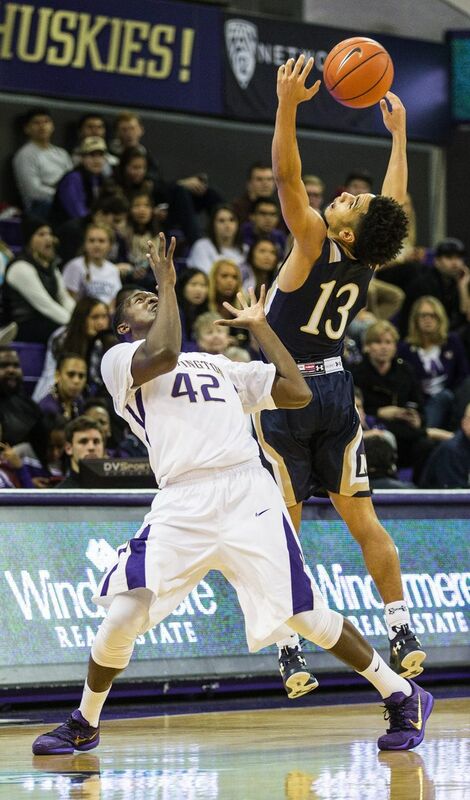 Mount St. Mary’s converted just nine of 37 (24.3 percent) three-pointers and attempted just 11 free throws, making 10. The Mountaineers (0-3) received 16 points from Junior Robinson, 13 from BK Ashe and 12 from Khalid Nwandu. 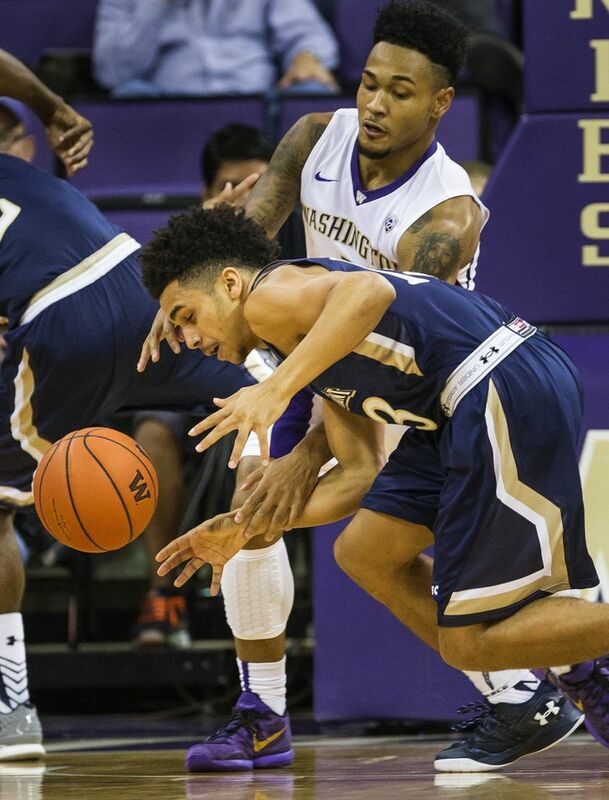 Meanwhile, Crisp had 13 points and Dejounte Murray added 11 points, nine rebounds and five assists for Washington in the first of two preliminary games before next week’s Battle 4 Atlantis in Nassau, Bahamas. 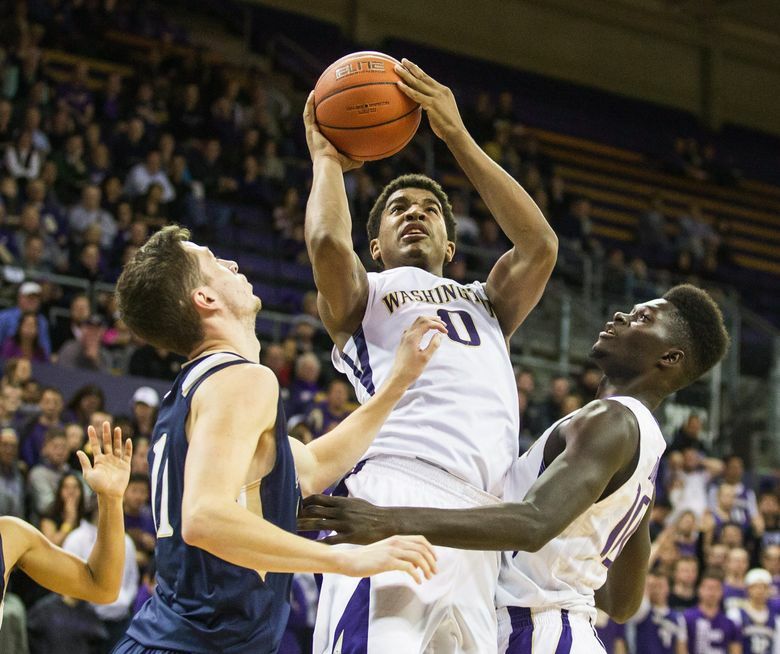 The Huskies play their second home game at noon Saturday against Penn before leaving for the three-game Thanksgiving tournament and facing No. 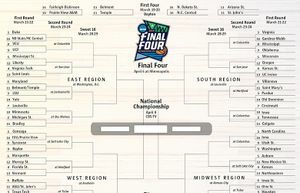 10 Gonzaga on Wednesday. 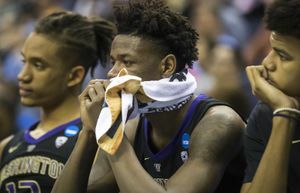 A few more wins like its latest romp and the modest preseason expectations will continue to rise for Washington, which upset Texas 77-71 in the opener. 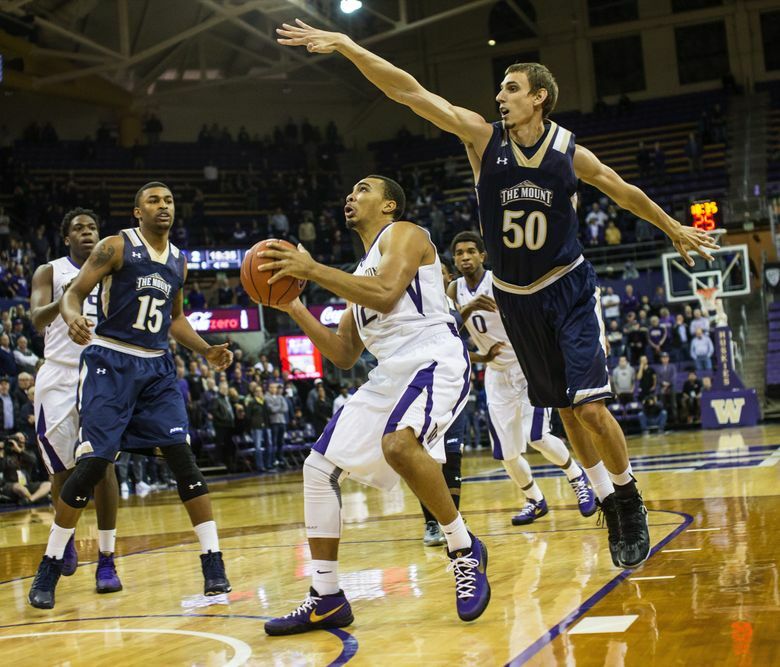 “I’m just excited that our guys are so willing to do what we ask them to do,” Romar said. “In terms of being on track, on target or ahead of (schedule), to me we turn the ball over too much, so I don’t know if we’re on track.